Free delivery will be within 2-5 days. Free delivery is applicable to UK addressed orders only - not valid for shipment outside of the UK. Some UK geographic exclusion areas apply - Please proceed to checkout to find out if any charges may apply to your specific location. If your Light and Glory product is defective in normal domestic use, due to a fault in materials or workmanship, Light and Glory at our discretion will either regulate, adjust, repair or replace it free of charge. To be eligible for free returns, your item must be unused and in the same condition that you received it. It must also be in the original packaging. 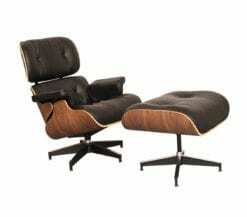 The Light and Glory free returns policy applies to all products apart from Eames lounge chairs and ottomans & all of our sofa products. 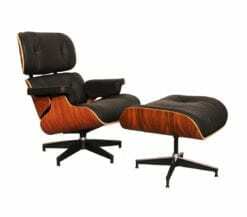 The Eames DSW chair (dining height, side chair with wood base) was originally designed by Charles and Ray Eames in 1946. Built using the highest quality materials, the look feel & finish of our reproduction DSW chairs are as close to owning an original as you can get. 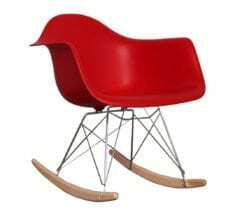 Designed and manufactured using superior processes and stringent quality testing standards that separate the chair from the other replicas available today. Durable & hard wearing they are suitable for domestic and commercial use. For guaranteed piece of mind all of our DSW’s chairs come with a 2 year warranty as standard. 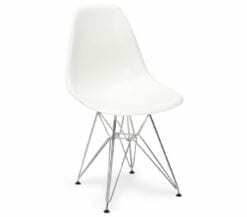 Available for delivery to the UK and multiple European locations (contact us to enquire about European delivery), our replica Eames chairs are the perfect addition to your kitchen, dining room or lounge and even make comfortable desk chairs. 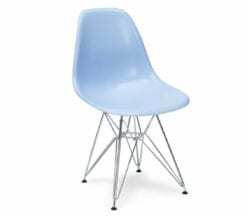 Repro Eames DSW’s from Light & Glory are available in white, red, orange, yellow, green, black, dark blue, baby blue, pink, teal, cream, brown & light grey, colorful choices to suite any interior palette.